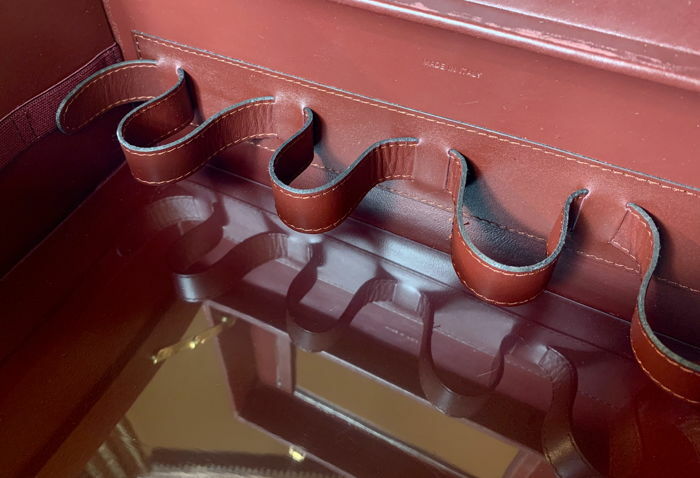 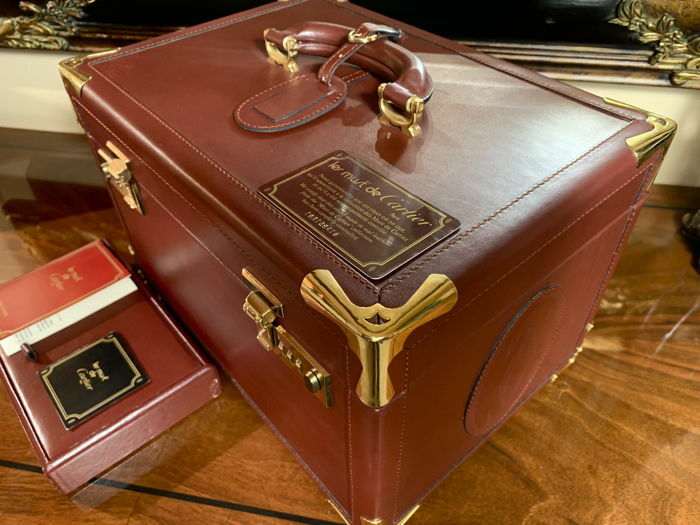 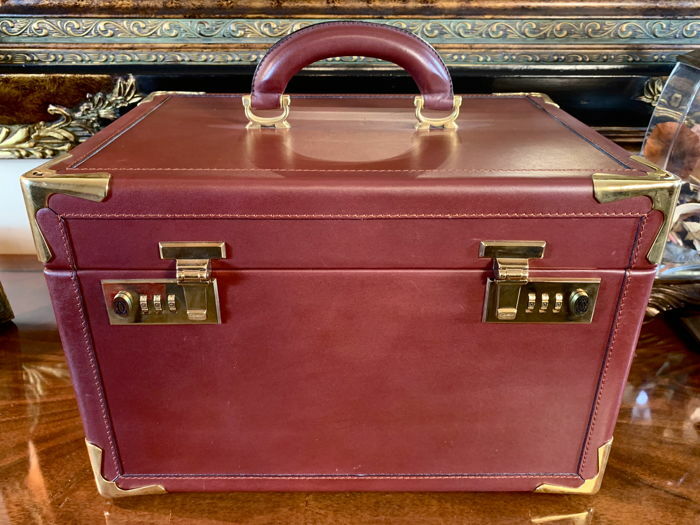 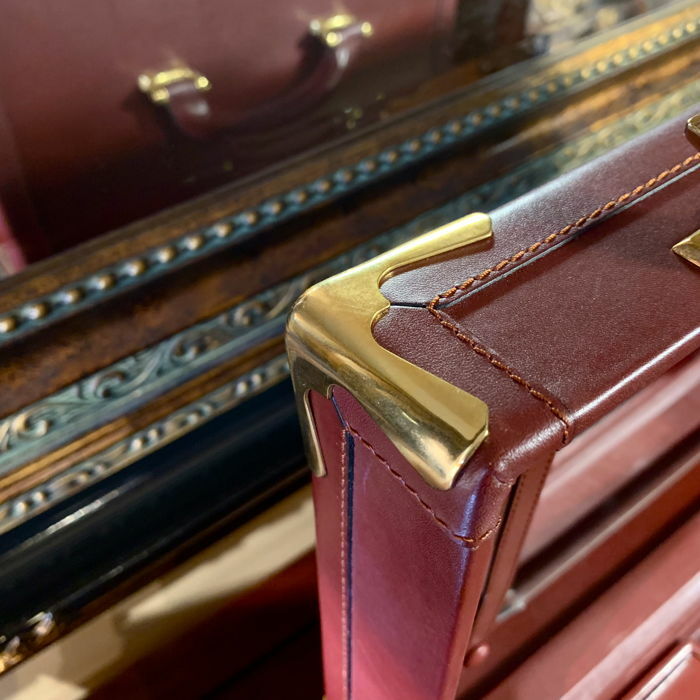 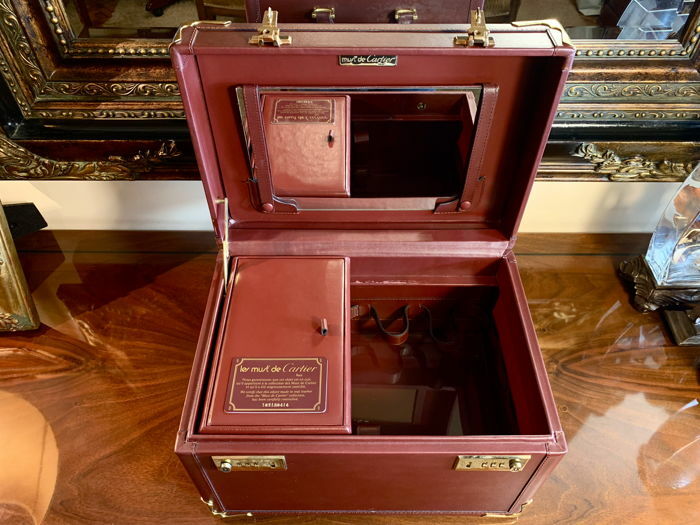 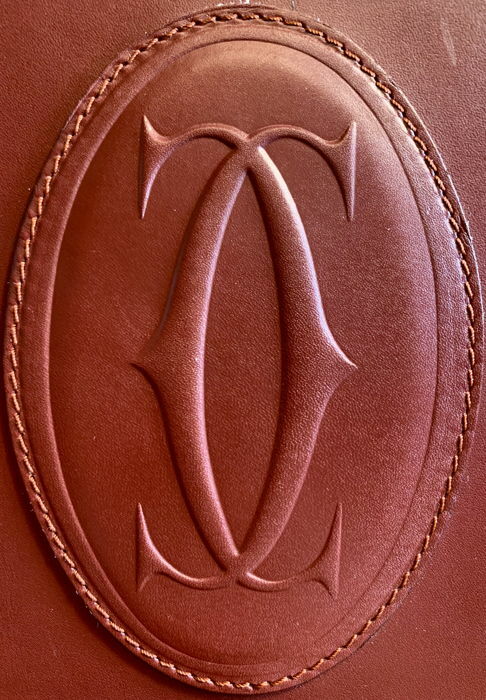 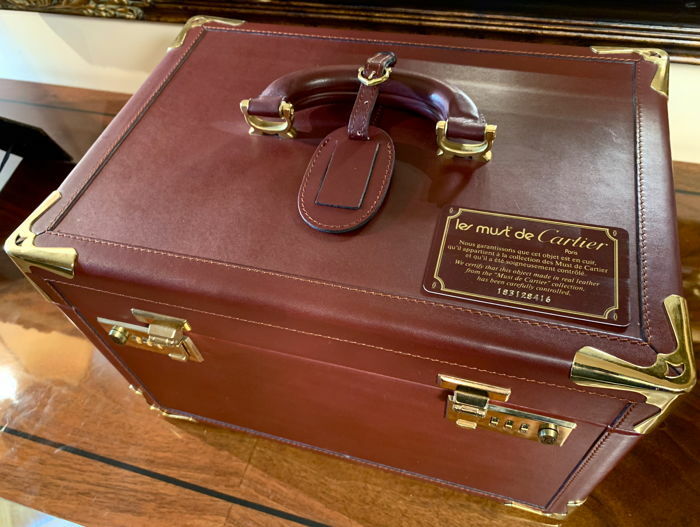 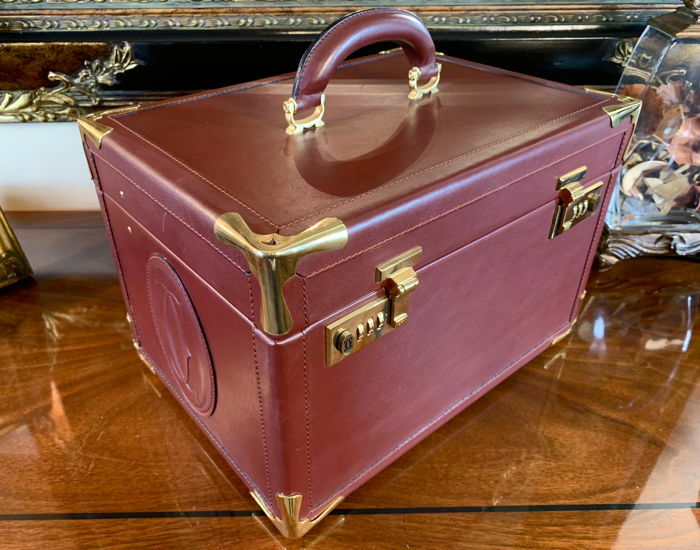 Cartier "Makeup Train Case" in real leather from the "Must de Cartier" collection. 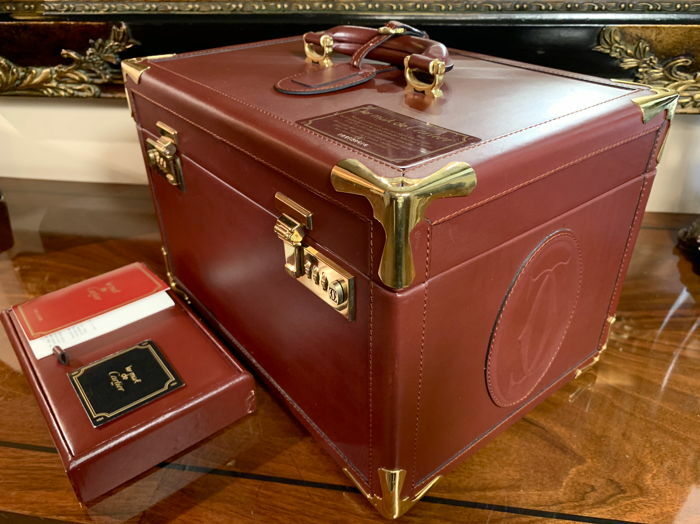 Complete, with all accessories and documents. 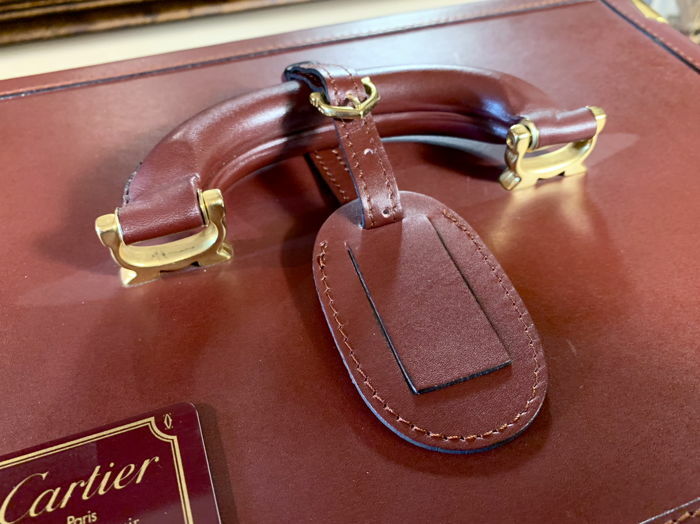 Leather luggage tag, vintage jewel box, removable mirror in excellent condition. 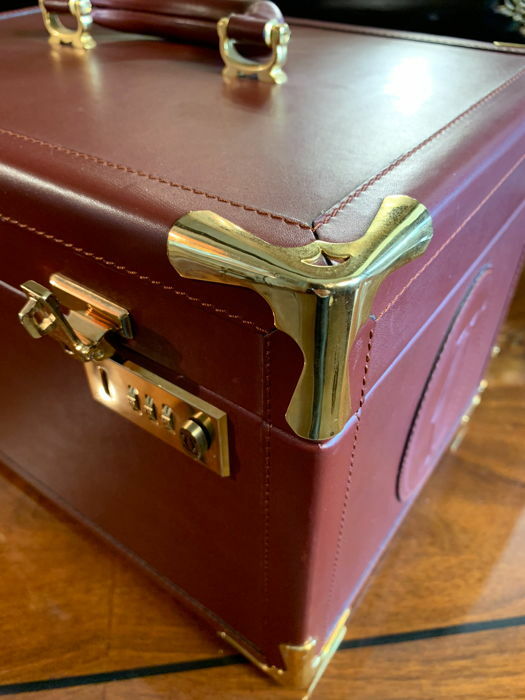 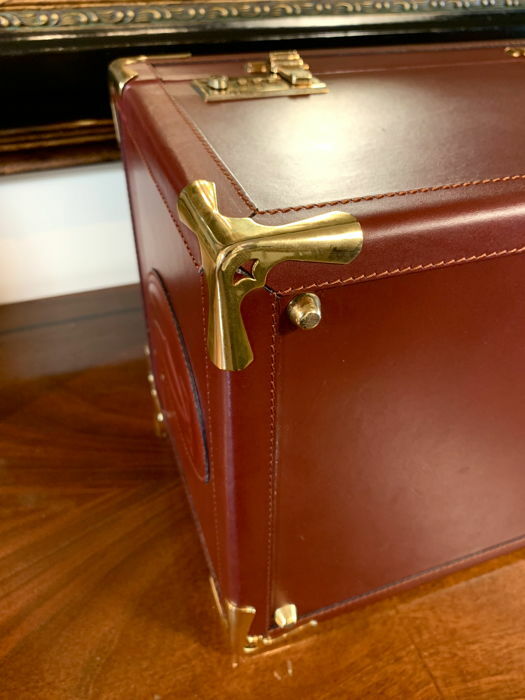 Iconic travel case from 1975 made in leather with gilt metal details. 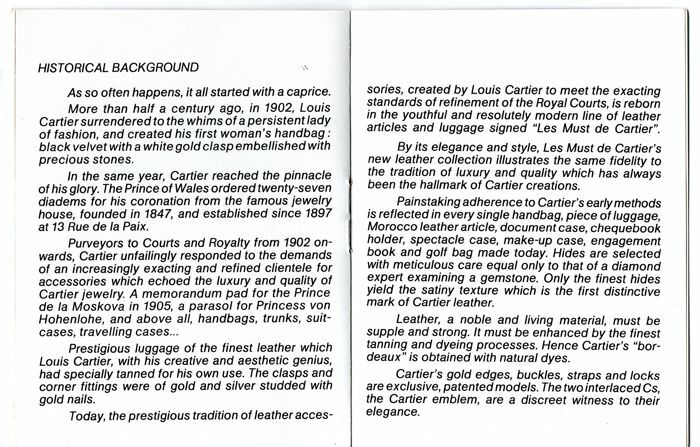 All original and authentic pieces preserved in an excellent condition. 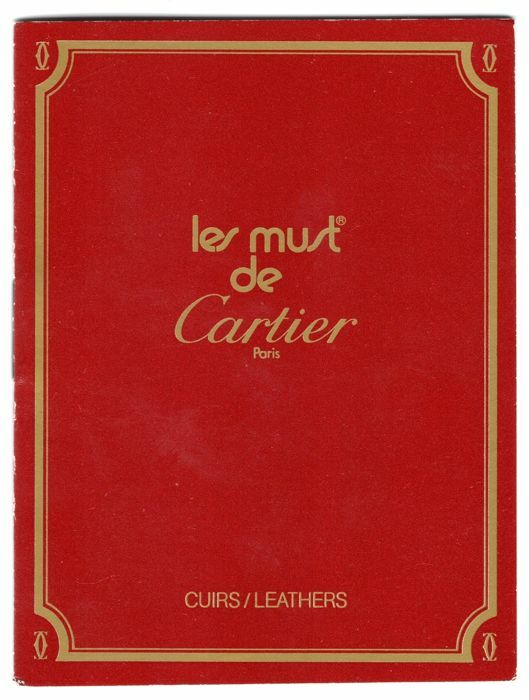 Les Must de Cartier Paris. 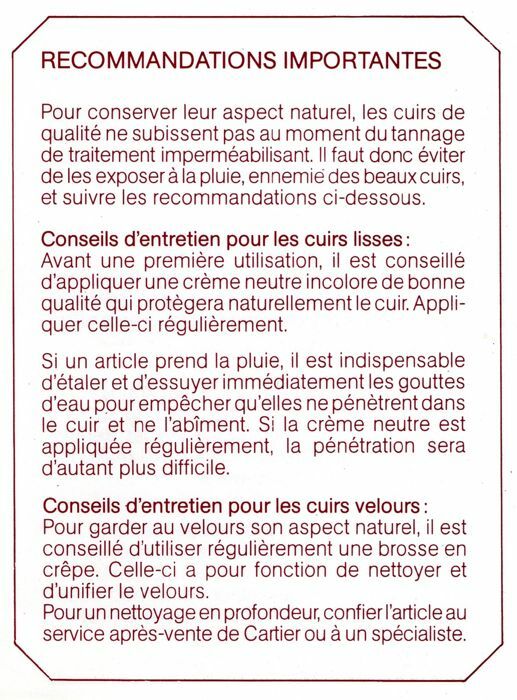 France, 1975. 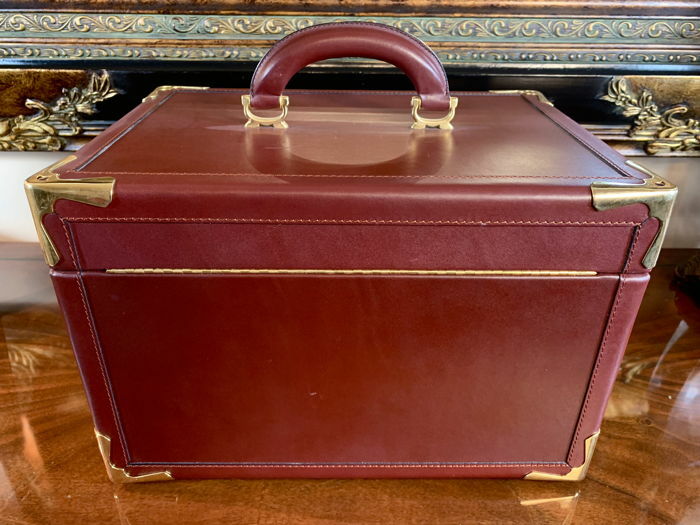 33 x 23 x 22 cm. 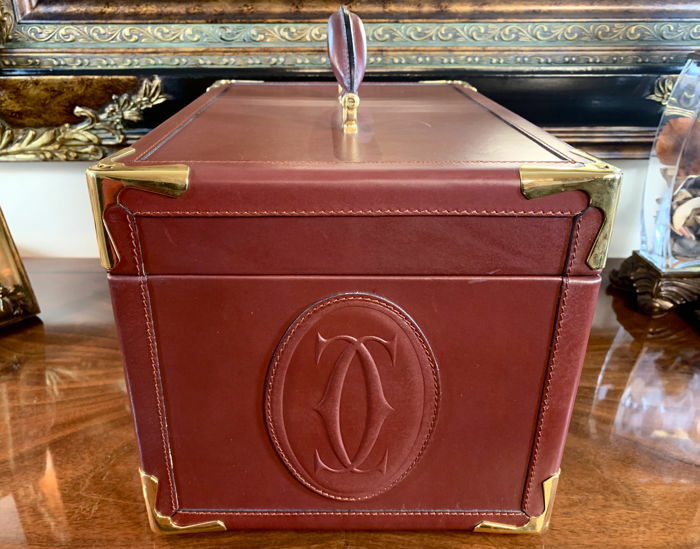 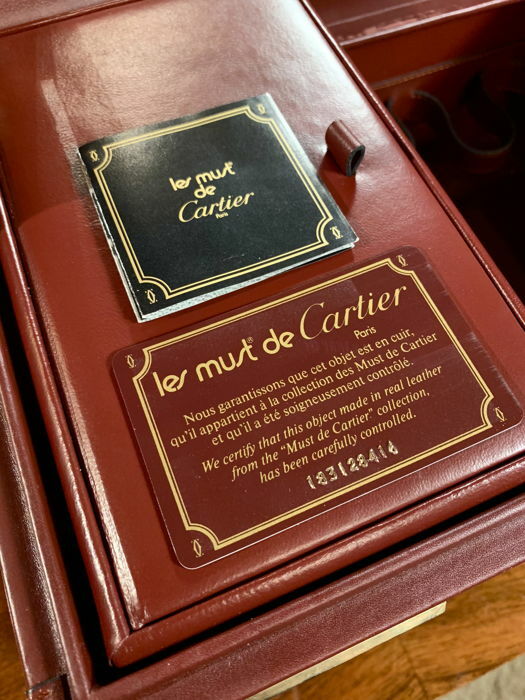 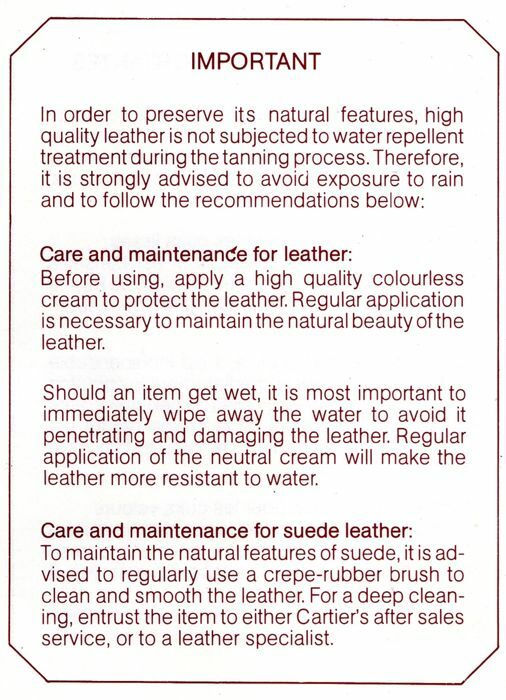 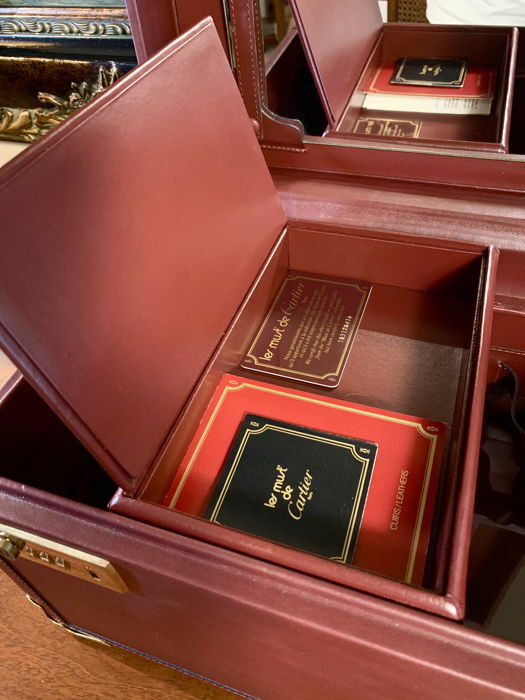 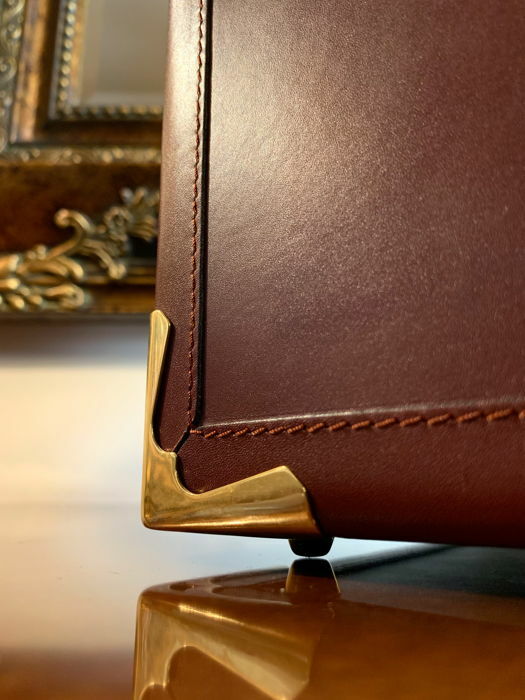 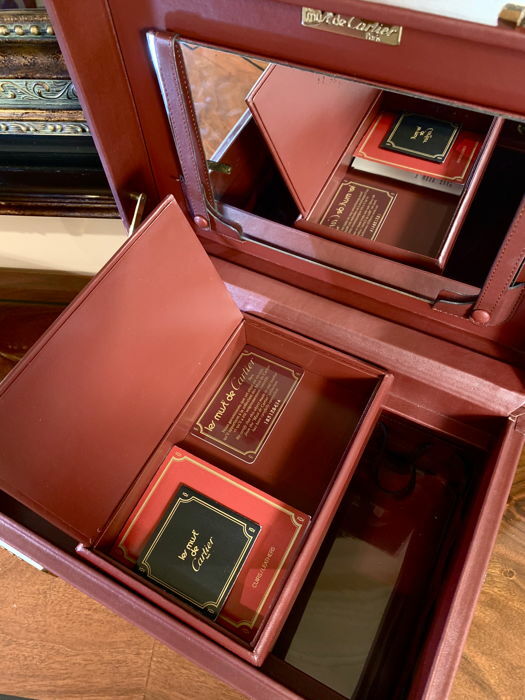 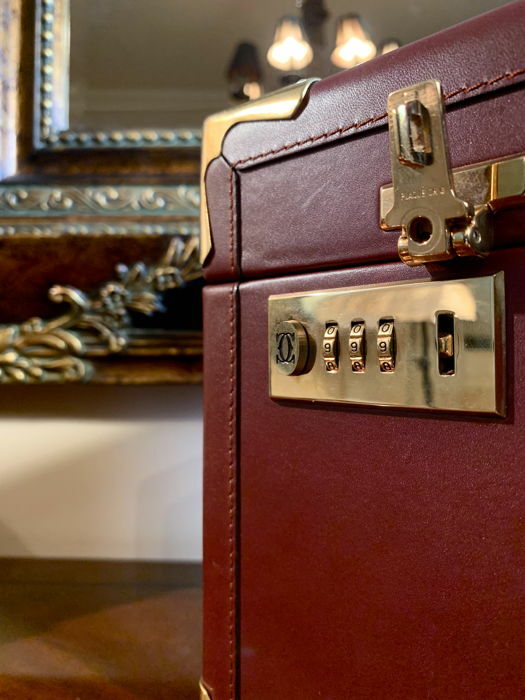 Included documents: Certificate of authenticity personal card with the serial number, small book with Historical Background, combination lock instructions and Cartier important recommendations for leather care and maintenance. 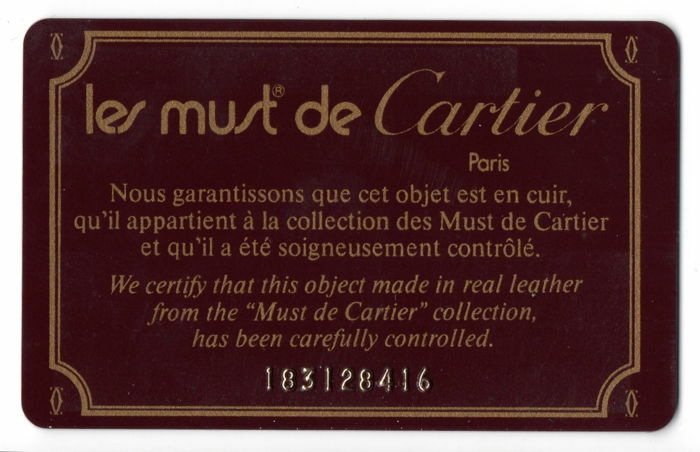 The item is in excellent condition with minor signs of use and age. 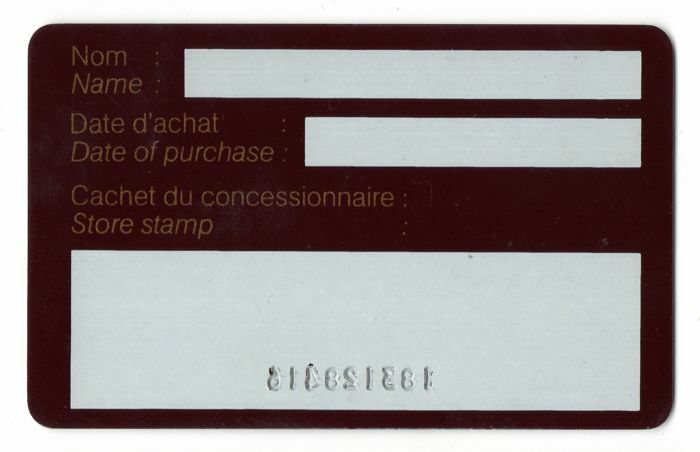 Very well preserved. 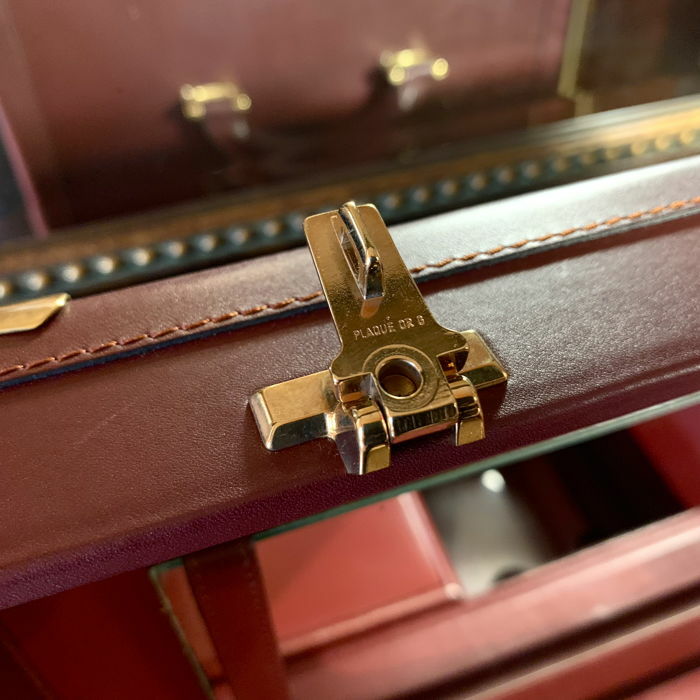 Central lock working perfectly and mirror in perfect condition. 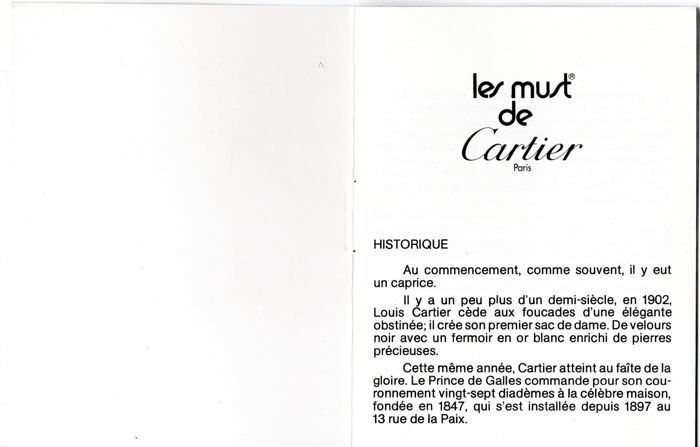 Practically impossible to find today an tem like this one, from the decade of the 1970's, in these conditions and with the complete documents. 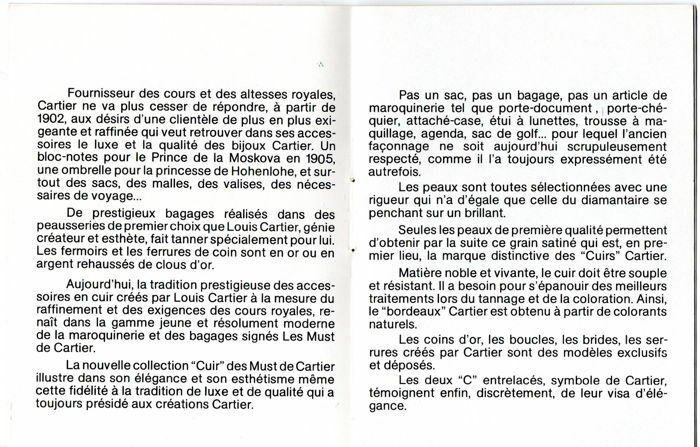 The item you will receive is the one that has been photographed. 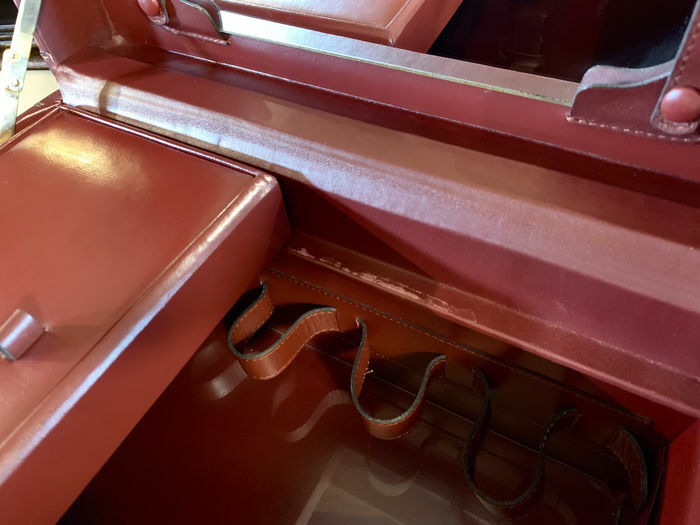 Identification ID number is required for outside CEE shippings.